Most holy apostle, Saint Jude, faithful servant and friend of Jesus, the church honors you as member of the saint community with Saint Simon, apostle, on October 28 and invokes you universally, as the patron of hopeless cases, of things almost despaired of. Pray for us, we are so helpless and alone. Make use, we implore you, of that particular privilege given to you by God to bring visible and speedy help where help is almost despaired of. Come to our assistance in our necessities, creative work, tribulations and sufferings, particularly (here make your request) so that we may be better able to know, love and serve God with you and with all of God’s people forever in accordance with God’s Divine Will. 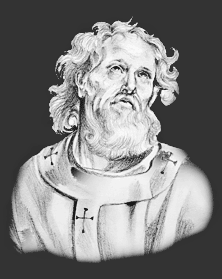 We promise you, Oh blessed Saint Jude to be ever mindful of this great favor, to honor you as our special and powerful patron, and to gratefully encourage devotion to you, as favored servant to Jesus. May the most blessed heart of Jesus be adored as the Priest ordained Sacramental Presence in the Eucharist, and be received by the faithful Body of Christ throughout the world and through the Holy Spirit bring God’s creation, including us undeserving servants, to perfection in God’s Name. Amen. May the most sacred heart of Jesus be praised and glorified with the Father and Holy Spirit as One God in Holy Trinity, now and forever. Amen. Blessed be the immaculate heart of Mary, Mother of God, assumed into Heaven, anticipating our bodily resurrection, and eternally glorified in Body and Soul with Her Son, Jesus Christ. Amen. Our Father, who art in Heaven, Hallowed be thy Name, thy Kingdom Come, thy will be done, on earth as it is in Heaven. Give us this day our daily bread and forgive us our trespasses as we forgive those who trespass against us and lead us not into temptation, but deliver us from evil. Amen.